A set of two beer glasses with Celtic patterns, made with crystalline and sandblasted in Scotland. 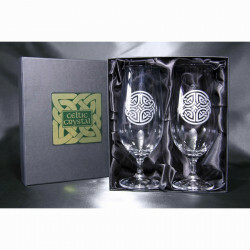 The two beer glasses with Celtic patterns included in this set are made with crystalline and sandblasted in Scotland. 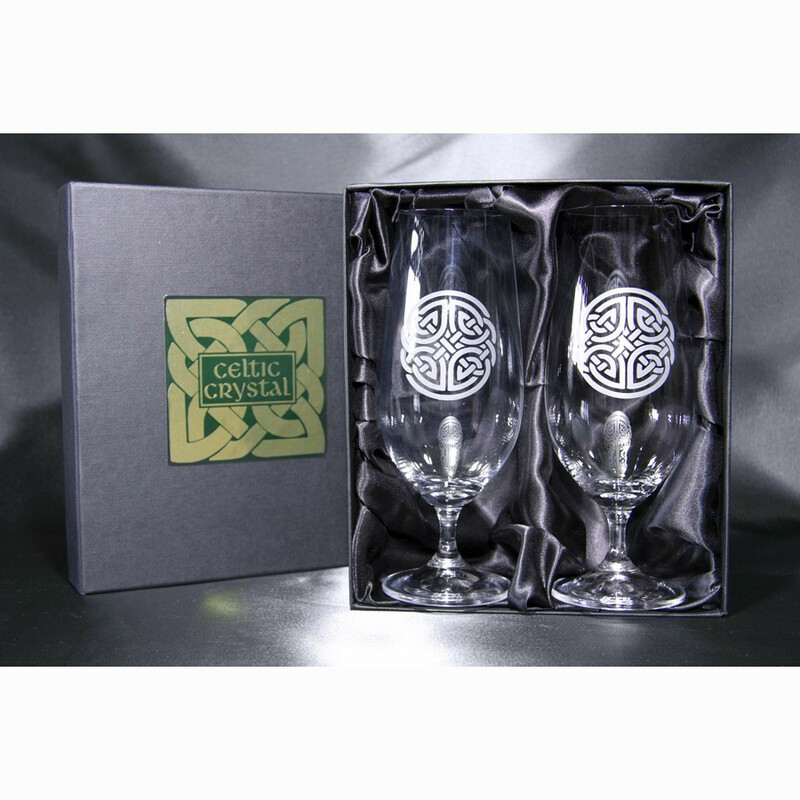 As part of a distinguished tradition these glasses are delivered in their satin case.